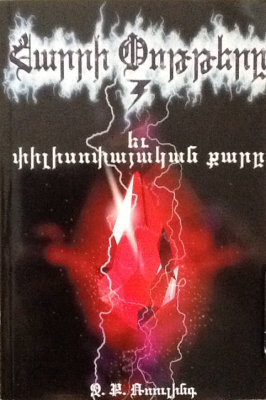 The status of the 2004 Lilit’ Mkrtčyan Armenian translation of Philosopher’s Stone was a little up in the air until just this year. It seems that it was, in fact, an unauthorized translation as it was rumoured to be. It was a tough call. On the one-hand, there were some indicators that it was legitimate: the cover art was official, it seemed to be quite widely available (and still is!) through seemingly legitimate vendors and the copyright page seemed to check out including having an ISBN with 99930 Armenian region identifier and the copyright page. On the other hand, it never did appear on JK Rowling’s official contact list which is our only official insight into translations. 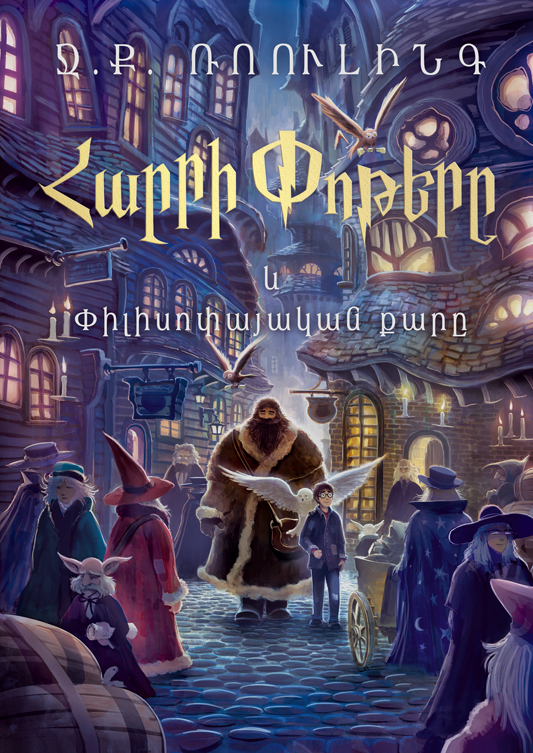 In the near future, “Zangak” publishing house will firstly publish the Armenian translation of “Harry Potter. Philosopher’s Stone” book. This is the most reliable evidence of the status of both the 2004 and 2016 translations that I have been able to uncover. And even though JK’s contact list hasn’t been updated to include Zangak—it seems to be updated pretty infrequently—I’m inclined to put a lot of weight into this announcement. The new translation is available from the publisher Zangak. And the publisher posted a couple of videos about the release (1 2) and an interview with the translator. In 2004, “Potter” has a double թ and 2016 does not. Although “Harry” has a double ր in both titles, if do any searching you’ll see that a single ր as in Հարի is also very common. I believe that, like in English, the doubling of the consonant is not meaningful in Armenian. 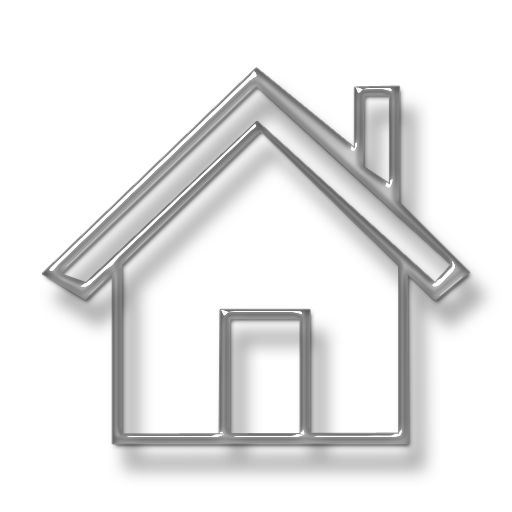 Most likely, as with some other languages, they doubled the consonants to more accurately reflect the English name. 1 Big thanks to @foreverpotterish for bringing this new translation to my attention!! 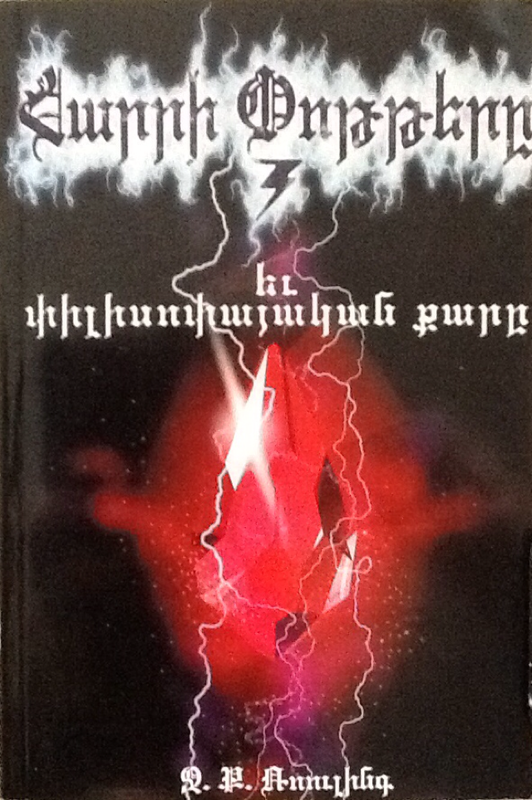 2 There are multiple transliteration systems for Armenian; what I have used is ISO-9985 (1996) which is the international standard. 3 It is pretty common to find “Gasprint” as the publisher of this edition. I’m not sure exactly what’s going on there, but Medianet in Armenian is “Մեդիանեթ” and that is the publisher that appears in the bibliographic entry on the copyright page of my copy of the book. Next story Vox Video: Harry Potter and the Translator’s Nightmare!